Do Our Oceans Harbour Alien Crafts? What Are All The Strange Reported Sightings At Sea? Sometimes referred to as USOs (Unidentified Submerged Objects) or UUOs (Unidentified Underwater Objects), the sightings of strange lights and crafts emerging from, or descending into the seas and oceans of Earth are quite widespread. Some UFO researchers and investigators even claim that there could be underwater bases present in the vicinity of some of these marine based sightings. Given that it is said that we know more about the moon than what is going on under the surface of our oceans and seas, it is entirely possible, if not probable, that there will be some things of surprise that we have yet to find. In October 2014, around thirty miles from Stokholm, Sweden, a strange circular craft was said to have emerged from the Baltic Sea. It appeared to scan its surroundings in the same way a submarine would, before disappearing again beneath the water. ​The sighting prompted the Swedish forces to use “sensors” to scan the area in search for the unknown craft. While they suspected it was a foreign submarine, probably Russian, UFO enthusiasts claimed that it was an unidentified submerged object, and that several other sightings had been reported in the area over the previous months. Either way, the operation was the biggest such mobilization of Swedish forces since the fall of the Soviet Union. Russia for their part flatly denied that they had any military or experimental water craft in the area. Is this a sunken alien craft? Around eighteen months later in 2016, an alleged craft at the bottom of the Baltic Sea, was said by one UFO researcher to show high concentrations of titanium. Titanium has been considered to be an ideal material for an advanced craft due to its strength, but also its lightness. Whether the craft spotted on the bottom of the Baltic Sea was the same one that the Swedish forces were scanning the area for is not known. Check out the short video below regarding the alleged craft. Strange objects being spotted at sea is not a modern phenomenon. In 2005, almost thirty years after it happened, an incident that had previously been “hushed up” by the Royal Air Force, was revealed in documents that had been made available to the public. Wood’s report was apparently corroborated by two officers who were stationed at a picket post of the base. They claimed they too observed the strange objects and watched them for over ninety minutes. Further still, the objects were also detected on the base’s radar systems. Wood was described in the reports as “reliable and sober” – in short, he was a credible witness. The incident was kept from the larger population until the Freedom of Information Act forced their release into the public domain. Fourteen years prior to the North Sea incident, a short distance away in the North Atlantic was another strange sighting. According to author Walter N. Webb, a lieutenant who served in the British Royal Navy, witnessed a UFO that appeared out of nowhere above their fleet, before it plunged to the depths of the North Atlantic Ocean below them. ​The incident allegedly happened in 1963 off the coast of Norway. The story was told to Webb two decades later in 1984 – who gave the lieutenant the name Tom Preston to protect his identity – by a co-worker of his at the Boston Museum of Science, Valerie Wilcox. She was a friend of the serviceman after he had married an American wife and settled in the United States. Preston was only twenty years old at the time, but was an experienced radar-sonar operator and navigator. He stated that he was part of a Royal Navy fleet on exercises, when out of nowhere a large object descended on them. Judging by how suddenly it appeared on the radar screen, it must have been moving at great speed, before stopping almost instantly. Other ships in the area were contacted and they too confirmed the object to be on their screens, so a radar malfunction was ruled out. They object monitored the small fleet for several moments before plunging under the surface of the water as jets that had been scrambled to the fleet’s assistance approached. The ships sonar detectors also picked up on the now submerged object, registering their “ping” for confirmation. The object however was moving at such speed that they soon lost the craft. ​Preston stated that later that day he was summoned to speak with a senior officer on board the ship, where he was reminded that he had signed the Official Secrets Act and was not to talk about what they had seen. Preston also noticed that when he returned to duty, a new log book was in place of the one they had been using, which was now, nowhere to be found. Are the strange sightings reported at sea alien crafts? Other sightings have been recorded in seas and oceans on the others side of the world also, with some of the people reporting them coming from high positions in the military. During an interview with journalist, Rodrigo Ugarte, on Chilean television, a retired admiral in the Chilean Navy, Jorge Martinez, made the statement that UFOs were very real. He knew they were, because he had seen them twice while out at sea. 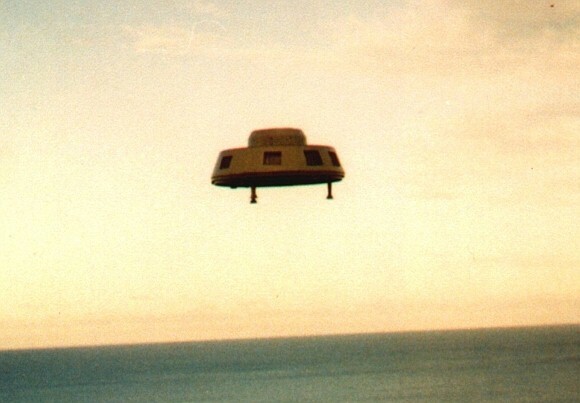 Admiral Martinez stated he had first seen a UFO while out on patrol when he was a lieutenant. He stated he saw a strange light coming out of the water that was directly in front of his vessel. ​While Martinez is quite possibly the highest ranking officer in the Chilean armed forces to make such claims, he is not the only person to do so. Another officer in the Chilean navy, Guillermo Jimenez, also stated that he had had similar encounters, claiming to have picked up two “submarine-like objects” on his ship’s sonar system – although they moved much too quickly to be any submarine that he was aware of. He also stated how his navigation equipment also went haywire for a time while the mysterious objects were present. Alexander Globa claimed he witnessed a UFO hovering over the Mediterranean Sea in June 1984. 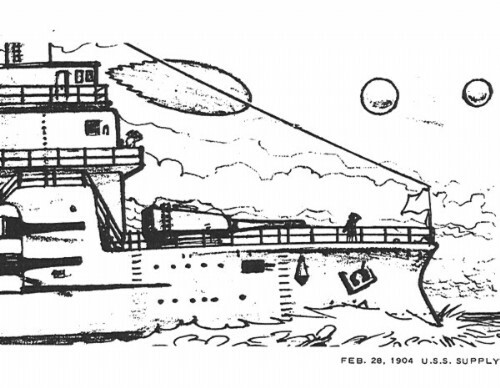 In a report alleged to have been obtained from declassified CIA files on Soviet UFO sightings, came a report from a Russian merchant sailor who claimed to have spotted a strange craft hovering over the Mediterranean Sea in June 1984. While what he perceived to be the top of the craft was flat, the underside had a round shape to it, and the whole craft had a bright metallic shine. Upon closer inspection of the craft, Globa stated that the bottom section appeared to consist of two separate circles that were rotating in opposite directions to each other. This is an interesting point, as this would suggest anti-gravity technology. Despite the sightings occurring during the day, Globa could easily make out bright lights underneath the craft, including a bright yellow glow in the centre of it – again a particular detail that has surfaced on other UFO reports. Globa stated that they attempted to get the craft’s attention by using a signal projector, but it seemed to suddenly move upwards as if it were riding a wave that couldn’t be seen, before it eventually ascended quickly into the sky. Globa followed the craft as it made its way through the clouds, stating that it suddenly “flared up” and was then gone in an instant. They began to ascend above the clouds and into space, still in echelon (where the craft are arranged diagonally) – ruling out the notion that what they had observed was a meteor. They remained visible for a full two minutes once they had risen above the clouds – suggesting how big their actual size must have been. They then vanished from sight, as if they had never been there. Three years later, on the other side of the United States in Vermont, a similar object was sighted on 2nd July 1907 over Burlington. At first, witnesses had described a “torpedo” shaped object travelling across the sky, before a round silver object descended. This time though, witnesses stated it exploded before it hit the ground. There are no reports of any casualties, or of any wreckage being recovered. Perhaps two of the most interesting and intriguing sightings of objects over water came in the waters around Asia and Australia. Thomason was there with his camera that morning as he wanted to document an old mine he had noticed while walking his dog previously. As he made his way over the beach he noticed a strange movement on the water. Amazed, he watched a round object rise from the waves, spinning as it did so. He immediately began to take pictures of the scene. ​You can view two of the pictures below, or click here to view more and to read the report in full. Are these pictures of a craft that emerged from the water genuine? Even more remarkable, a second, somewhat smaller object then appeared, and Thomason, still taking pictures as best he could, witnessed this smaller object approach the first craft and then “dock” itself to it. A few moments later the two crafts, now essentially one, shot off straight up and out of sight. ​The incident is one of the most intriguing as well as one of the most investigated in the ufology field. 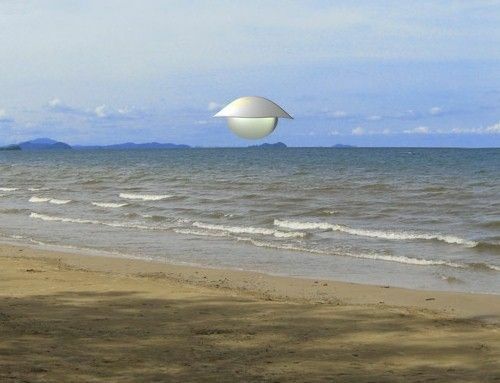 In October 2005 in Kota Kinabalu in Malaysia, while sat on the Tanjung Aru Beach, fifty-two year old, George Matanjun, and his wife, couldn’t believe their eyes when they saw a disc shaped craft break the surface of the water and steadily move towards them along the surface. It was just after 7am and they had come to the beach after dropping their eighteen year old daughter at school. 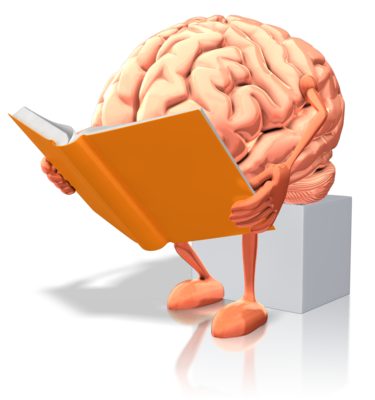 After studying it for a moment, George realised that the object, whatever it was, was heading towards Kota Kinabalu International Airport. He estimated its size to be around nine meters long and moving at a speed of between thirty to forty kilometres per hour. ​After a further two minutes, the craft then fully emerged from the water and began to rise in the air, still heading in the same direction. George stated that the craft was completely silent and he could not make out any known means of propulsion that it may have been using. Both he and his wife followed the craft until they could no longer see it as it disappeared into the distance. George further stated that although there were a few joggers on the beach during the incident, that he didn’t believe they would have been facing out to sea so they wouldn’t have seen the craft. The fact that it was silent also wouldn’t have alerted them to its presence. ​Check out the two videos below. The first is a documentary regarding strange sightings involving oceans and seas, while the second claims to show a UFO “refuelling” from a body of water in California.